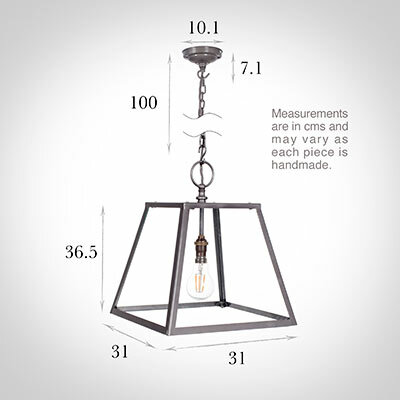 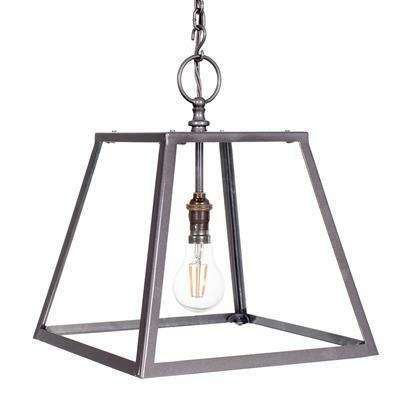 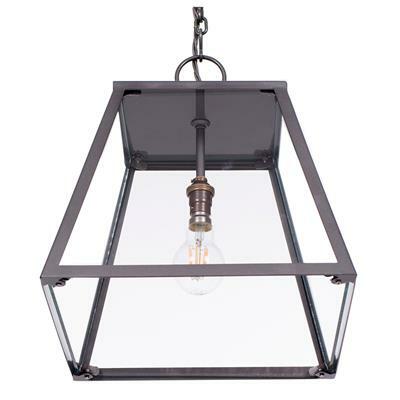 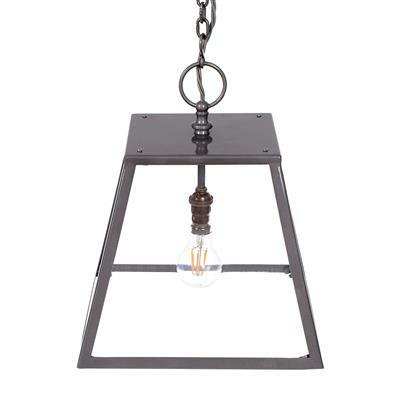 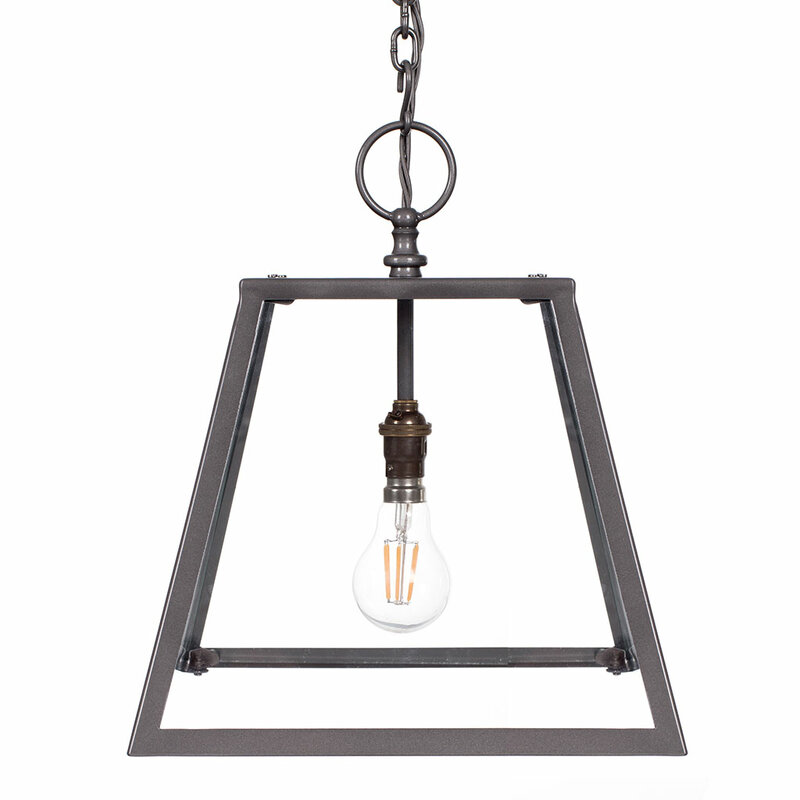 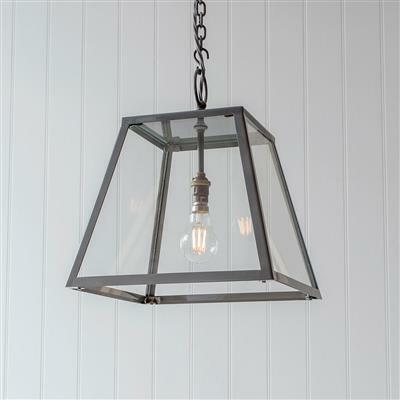 The simple styling of this elegant pendant light will enhance any room it is in, be it a hallway or dining room. 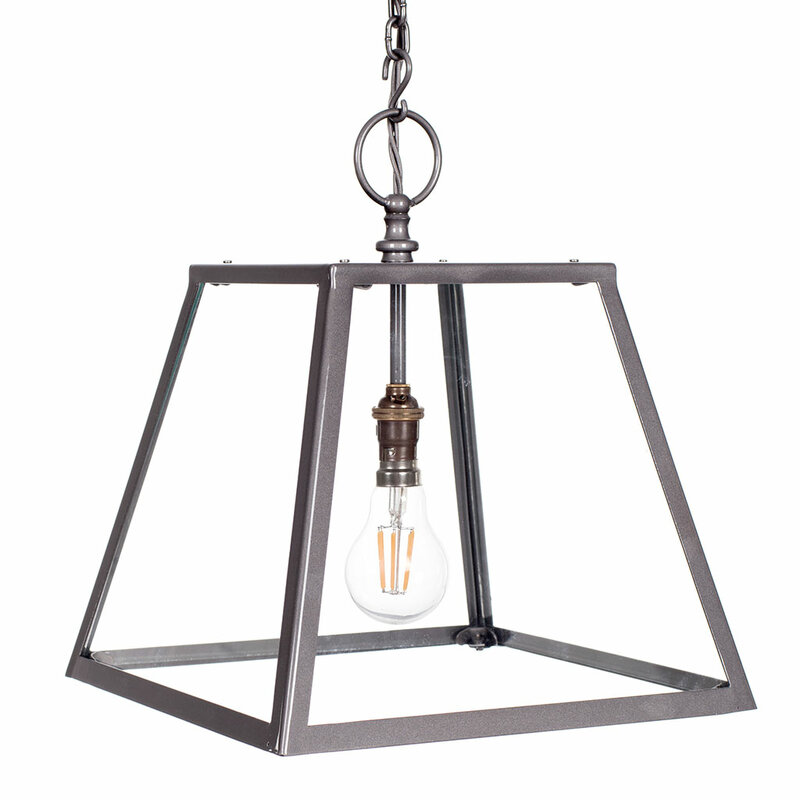 With clean lines, straight glass sides and an ironwork frame it is beautiful in its simplicity. It comes in a choice of our darker finishes suh as this polished iron, which give a striking contrast to the glass. The glass can be frosted on request. 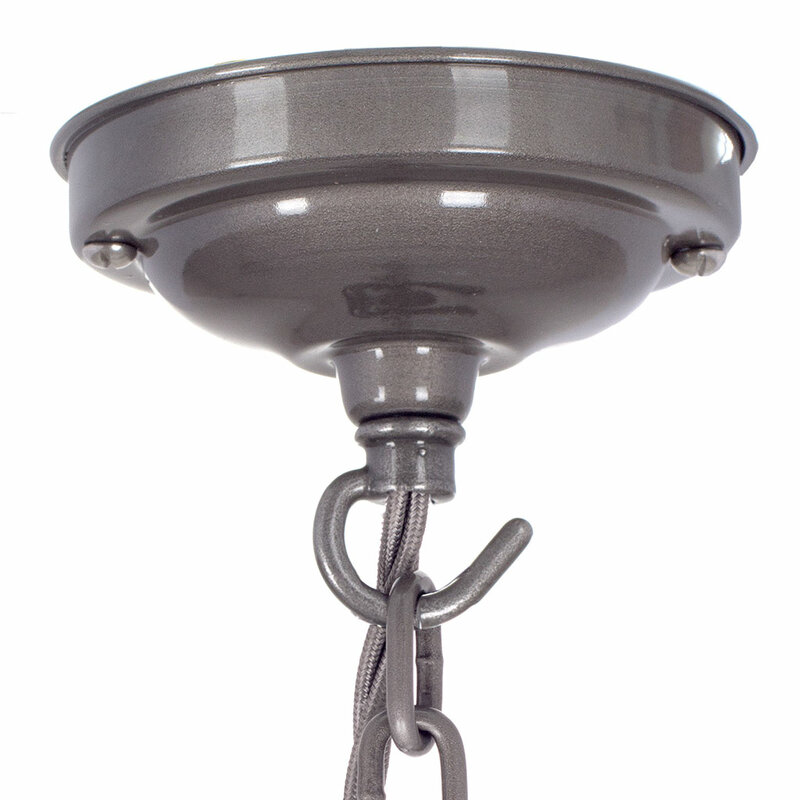 Fitting Option: can be supplied with an E14 (small edison screw) bulbholder for Europe, or with US fittings on request at an extra charge. 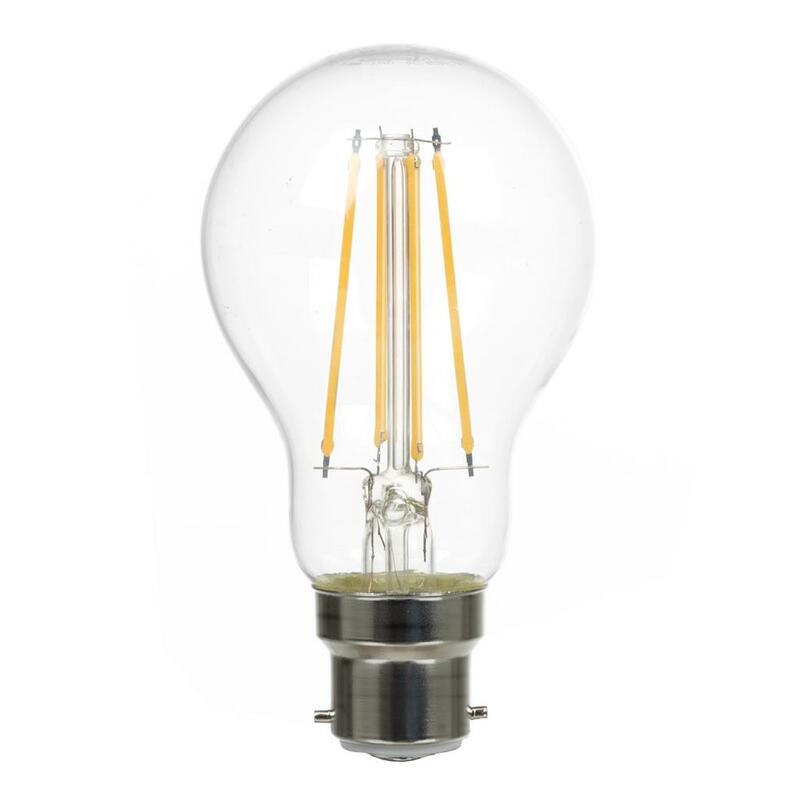 Please call our Customer Service team for advice.